For years I have believed that I can only kill plants. Anything green left in my care will wither and die. I even managed to kill a cactus at one point. Late last year the Jasmine tree cutting went brown, and I didn’t have to do anything really just leave them in water and they will take care of themselves. It’s quiet pathetic. Yet I cann’t reconcile this belief with the desire to have a big green indoor garden. One of my most vivid memories of leaving Kuwait was the collection of potted plants my mother was leaving behind. It filled a third of a room and was just beautiful. So, following in my mother’s foot steps, and inspired by a wonderful person here in Beirut and yet another all the way in California I have started to introduce greens into my home. 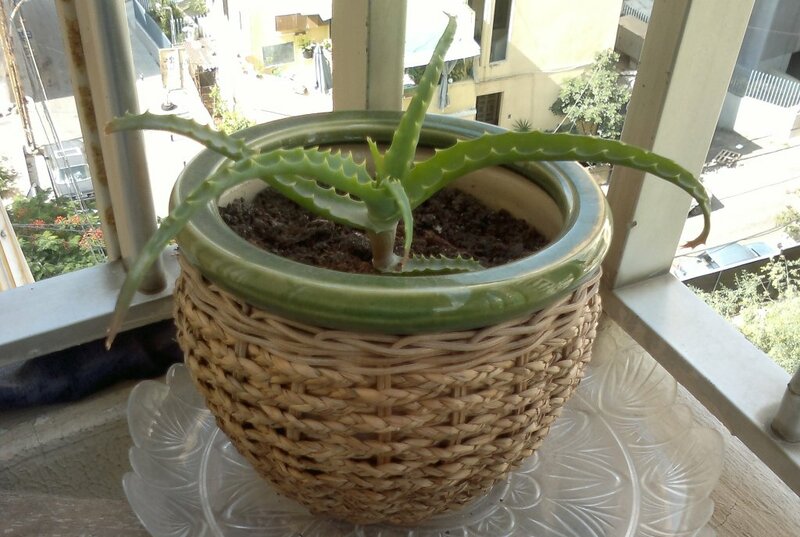 I got a cutting of an Aloe for my balcony from my friend. And this month I have Jasmine cutting from a tree I walk by everyday. Next I think I will start some herbs for the kitchen and slowly I will turn my ever so brown thumbs into vibrant greens. A lot of people know I am fatherless, few know he is a missing person. I rarely speak about it. He’s been a missing person for 20 years now. He was abducted by Kuwaiti militia after the “liberation” of Kuwait in February 1991. I know this because it was the last piece of reliable credible news we were able to get about him after he disappeared in the past 20 years. I don’t know why I feel the need to say this now, or even put it up for public consumption. It is and has been a long battle of denial and affirmation, struggle and joy, of unknowing, and of silence. As the years moved on, he crossed my mind less and less. The most reoccurring thought is “what if he is behind that knock on the door?” As the years moved on, that thought too diminished slowly. As the years moved on, we fought less and less to find news about him. To find him. A part of us just got too tired. So much has happened because he is missing. So much of it has shaped the dysfunctionality and the functionality of my existence. Sometimes I wonder what would have been had I remained that precious daddy’s girl. Would I be the woman I am today? Would I be where I am today? Other times I just don’t wonder. Twenty years after the fact I ask myself what do I want? Do I want justice? Do I want retaliation? Do I want compensation? Nothing really helps with the black hole of not knowing. Nothing really makes up for an absent parent. Twenty years later all I want is one thing. Closure. I’ve been in Beirut for a little over nine months now and throughout those nine months I have been on more planes and crossed more borders than I care to remember. But on my last trip I transited through Amman. That trip was a turning point, for many reasons. I feel I have finally closed the doors of Amman and now I have opened doors, or am really trying to, in Beirut. Its been such a difficult time on so many levels, Beirut is a difficult city to assimilate into and be a part of its social circles. But its even harder when you are stuck in a life you took 20 years building. It’s harder when your history only goes back on average a year and my oldest relationships I have here are two years old. Having no sense of history, having to have to go through all the social angst I had as an adolescent and young adult and try to build relationships from scratch all over again, takes its toll. I have been on a roller coaster of emotions for nine months. This ride has had some very low dips and few high peaks. And I hate roller coasters! Knowing you are falling into deep despair and trying to pull out all the tools in your arsenal to stop it was what I have been doing for nine months. It didn’t work, until recently. Looking back it didn’t matter what tools I tried to use because there were factors that were not in my favor and things I did that didn’t help me. I travelled way too much and it’s hard to settle down somewhere when you are only there for two or three weeks at a time! It’s hard to establish yourself when you are seen as an extension of another person and not as your own entity. It’s hard to be committed to exploring and trying a new place when your heart and mind are elsewhere. It’s also really hard to start from scratch when you leave behind you a life of complete and total success, satisfaction, and fulfillment. It’s hard when you have to relate to your nearest and dearest electronically and through machines when touching them and seeing them were daily occurrences. It’s hard when the smells and tastes of 20 years’ everyday are replaced by the strange, the foreign, the alien. It’s hard having seamlessly traversed the various communities of Amman and been a part of so many people’s lives, and part of so many different circles, ideas, initiatives to become so one dimensional, viewed from one lens and through a box or label. It so hard going through a year of firsts away from home, where tradition and ritual gives way to… well nothing really, and no one really understands what the fuss is about. It’s hard knowing that the life I left behind is… well, left behind and there is no going back. A month or so ago, at my new Toastmasters club, I gave an ice breaker speech to introduce myself. Standing in a room full of strangers I spoke of this transition and how painful it is, and I likened it to the transformation from a tree to a bird. I will quote a part of that speech here as it sums up how I feel about this transition and my future outlook about my time in Beirut. “But in knowledge and self awareness lies power and I am determined to make the transformation work. This metamorphosis is a long process and it started with my uprooting from Jordan. It is, I think, the most painful and challenging part of the transformation to be ungrounded, to be wobble and blowing unsurely in the wind. Exposed. Vulnerable. But these raw bare roots that are swimming around in the air like the tentacles of an octopus are slowly receding into the trunk that is the body of the bird, becoming my inner strength to carry with me wherever I go. My branches that are full of leaves and fruit and melding together in a canopy of colors and light new feathers, transforming into beautiful powerful wings that will fly me every which way I want to go. They are still a bit stiff mind you, and I am learning to spread them. But when I am done they will be strong and ready for flight colorfully gliding through the clouds. I know my time in Beirut is limited. It is not a place I will spend 20 years building a life; I also know that Amman is no longer an option. I need to move forwards not backwards. And so Beirut is the place where I will learn to fly in stormy weather, after which, the clouds will part, the sun will shine, and the wind will be high. I am optimistic. I am determined. So throughout my life as a child and as an adult I have been asked the question in numerous forms and shapes and ways: Who is your role model? This question has always made me anxious, always. Why? I never had an answer and yet people expect you to say something, or actually name someone. And if you don’t have someone to idolize it must be a parent, since we rever them in our culture and they are somewhat sacred! But you know what, my mother is not my role model. I do acknowledge and appreciate that she did many great things and sacrificed a lot for us, but I disagree with a lot of things she did namely how we were raised in to be sexists and conformists. 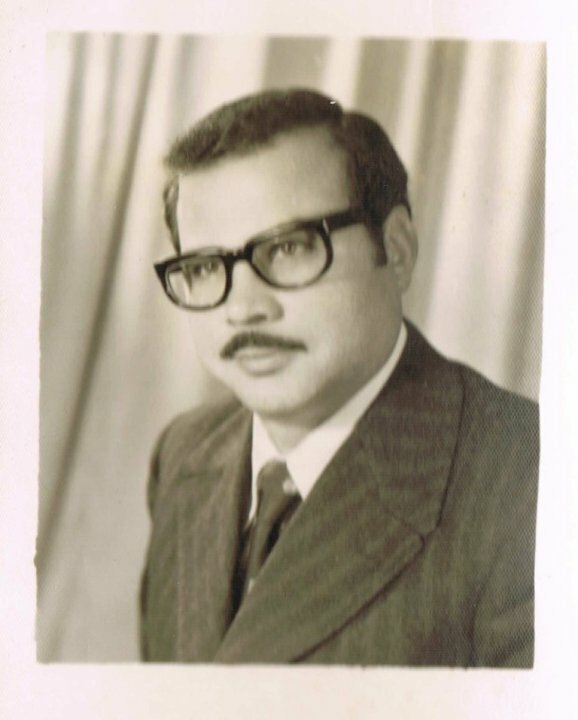 My father, well I was 12 when we lost my father so I don’t really know how he could be a role model in his absence. So there go the parents as people to emulate. As for leaders in our times, well I hardly wanted to be a pop star, actor, sports star or any of those things. And looking around me I liked a few people who were “authority” figures but, seriously, I didn’t want to be a teacher, a professor or a manager. Even TV and movies did not present any role models that I thought OK this is who I want to be like. All the characters presented on TV we perpetuating the ideals of a “moral, conformist, sexist and patriarchal” society that didn’t resemble my life or what I wanted to grow up into (remember we only had 2 channels and limited choice in what we saw). So I grew up without a figure to look up to or aspire to be like. I started to read biographies, looking at the lives of people’s who were dead or outside the realm of my daily realities. I tried to look at the role models of others and learn about them. There I found things I liked and things I didn’t like. I tried to understand the cult of Che for example , when I was done I knew he was someone I respect, but who’s approach I strongly disagree with. I’ve read the biography of many others too: Mandela, Rasputin, Queen Noor, Orwell, Mohammed…etc. And though it was interesting to learn about their lives, they were theirs to live. So 33 years later and still no role model, where does that leave me? I’ll tell you. It left me with a lot of people to appreciate for the things they bring into the world. Things I admire and love and these are the things I want in my life. Things like passion, belief, joy, life, values, character, strength, love, serenity, intellect. I don’t want to be like any of them, but I want a life full of those things and so from different people I have learned different things; without having one role model or many. I don’t want to live their lives, I want to live mine. I am a strong believer in energies. The energy of places and people. And I strongly believe that when you move, when you meet people, when you let someone in or someone out that there is a shift. I have experienced this many times and in different ways with different people and places. I can think of the times I worked in offices with no windows, I didn’t last long. The jobs were no good, my productivity was terrible. It was lifeless. I can think of restaurants and cafes in which I feel comfortable and stay for hours and others where I just want to leave. Sometimes I go out with friends and they drain me so much that I actually ask for others to join so that I am not exhausted within 30 minutes and they can deflect some of that energy. Other times I go out with a person and feel so exhilarated and energized by just being around them. And there are others that make me prickle and be on edge by just being in the same room. At first I didn’t understand any of this. I still don’t to a large extent. But I do recognize these things and learn to respect them and respond to them. But its not just about space and the people around us. It’s about us too. It’s about affirming our needs and wants and going after them. Sometimes I am very good about that and sometimes I just get stuck. And when I am agitated and upset I don’t like anyone touching me. I don’t want to pass it on. I want to find ways to let it out into the world or as someone I was talking with last weekend, channel it to and from the universe. But how do you channel this universal energy? I don’t know. What I do know though is I need to listen to my body and respect its needs and try to meet them. Lots of times I feel the need to sit on the floor, to ground myself and I do for 5, 10, 30 minutes and I feel so much better. Sometimes I need to dance, others I need to swim, and yet others I just need to lie flat on a bed. Sometimes I feel the need to touch others and hug them or give them massages (no this is not an invitationJ ). But whatever the body wants I try to give it. I am also trying to learn yoga and meditation to help quiet the anxiety of my thoughts and dispel agitation within. But I have also learned to let myself get angry, get sad, cry because that too is a need. But whatever you do and however you dispel or channel energy I truly believe the world, no the universe, conspires in ways that affirm you with many signs and people that come your way and somehow reaffirms what is inside you and what needs to be done. You just have to be able to see, recognize and let these all in.